We are happy to be recognized for our giving and sustainability initiatives through our National Geographic Unique Lodges of the World affiliation, but these charity projects also signify a personal connection to many of our employees, who volunteer their time to serve on local non-profit boards, volunteer for projects and even work as Ski Patrol or volunteer fire fighters to ensure the safety and health of local residents. Our groups and events team, including our Relais & Châteaux culinary and beverage team, is leading the charge for the event on our end. 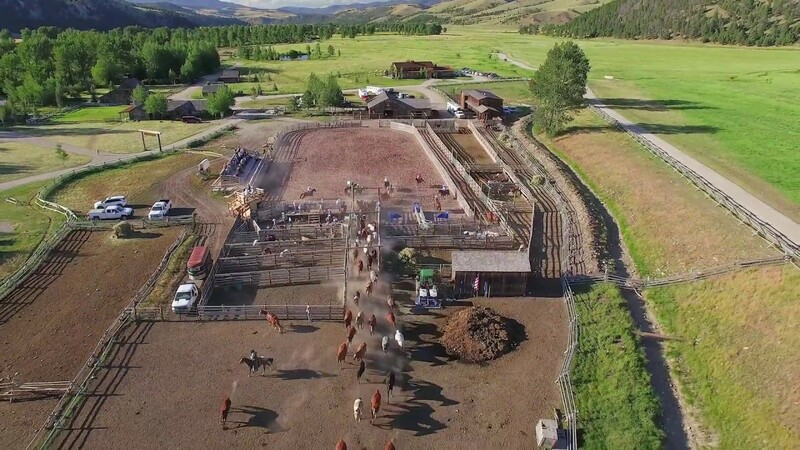 But the effort will include help from most Ranch departments. Almost 30 people are volunteering their time to make sure it goes off without a hitch, and many others will be attending Saturday’s Gala Auction as part of the community. Our groups and events team produces all of our special events, from seasonal celebrations, like Christmas and New Years, to weddings, reunions and other milestones. This Festival falls on the heels of some exceptional autumn events, including our Autumn Harvest Celebration featuring a special performance by LeAnn Rimes. 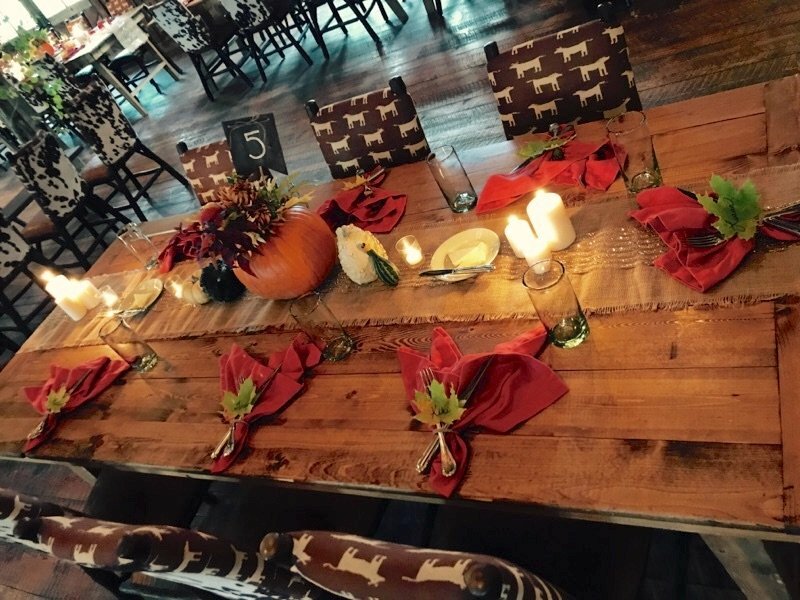 A table setting at this year’s Autumn Harvest Dinner. Photo by Kate DeMello. Last year, this department was even featured in Relais & Châteaux’s new book, “The Art of Entertaining.” Our sponsorship includes event coordination and staffing, in addition to providing the venue and hors d’oeuvres—basically everything that’s needed to ensure a large event’s success. A private birthday celebration on the Bikini Beach dock. Photo by Kate DeMello. The Festival of Trees involves two large events, a Decorator’s Night on Friday, November 10, where 15 decorator teams gather to design their one-of-a kind-trees, and the Gala Auction on Saturday, November 11. 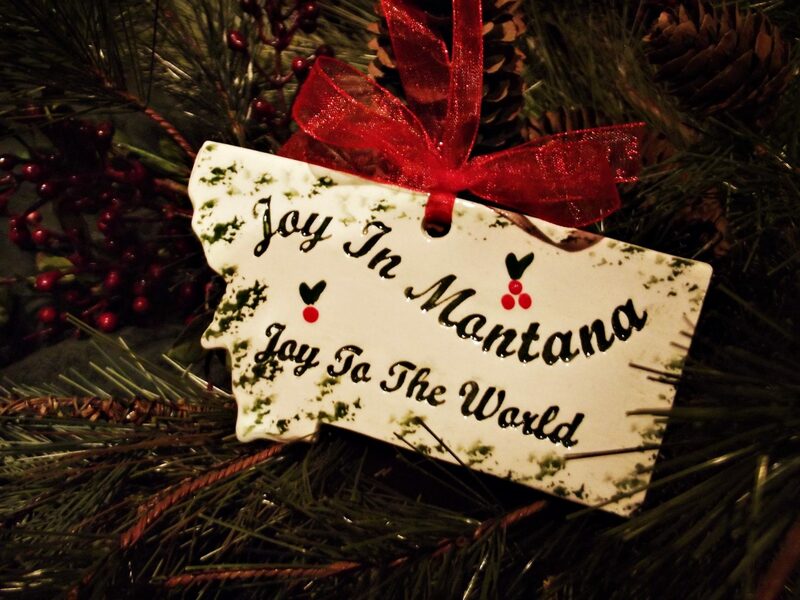 On Friday, the decorators will be joined by Granite County Medical Center’s long-term care residents. Though the decorators are busy bringing their carefully-planned visions to reality, it is a jubilant environment filled with food, carols and a visit from Santa. 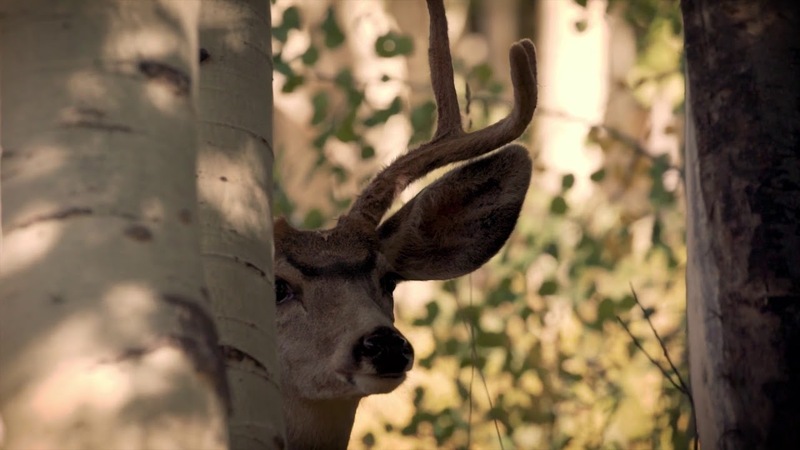 The residents enjoy being part of such a bustling, joyful event that harkens back to their own family celebrations. The 2016 Festival Grove after Decorator’s Night. 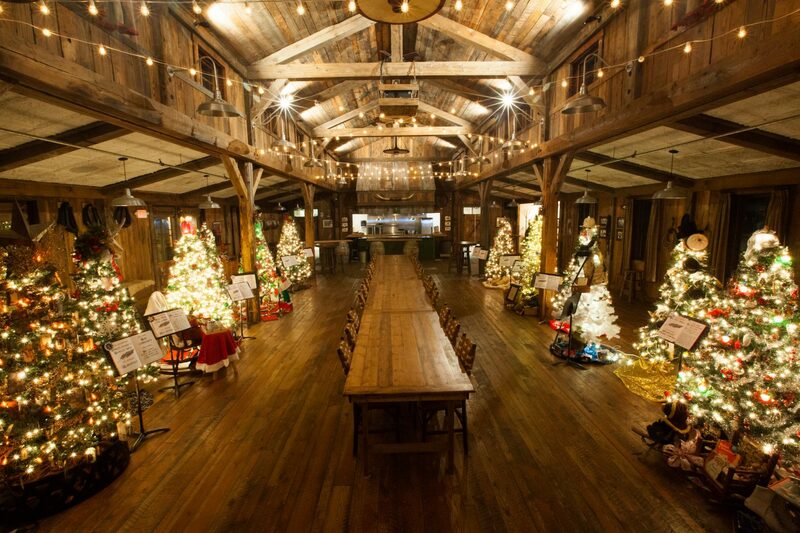 At the end of the night, the Buckle Barn glows with these gorgeous trees. We know this year’s grove will be exceptional, thanks to a sneak peek at the 2017 auction list. Community members, sponsors and decorators join us for the Gala Auction on Saturday. 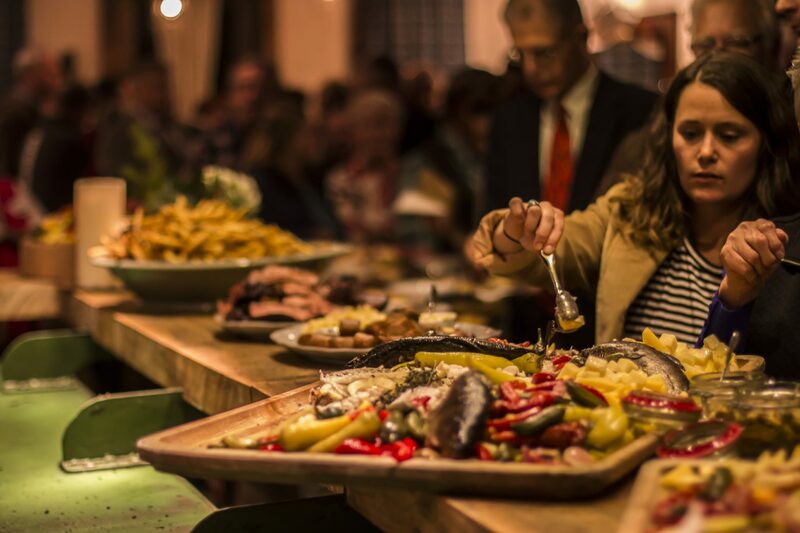 Many arrive via free shuttle from local towns, so they can enjoy Executive Chef Josh Drage’s robust slate of first-class hors d’oeuvres and the cash bar, with drinks provided by local businesses, the Philipsburg Brewing Company and Snookies Mercantile & Wine Cellar. The culinary team’s impressive spread at the 2015 Festival Gala Auction. The evening culminates in a thrilling live auction, led by a professional auctioneer. Attendees vote throughout the night and decorator teams can win recognition for Best Classic Tree, Most Original Tree and Best Theme Tree. 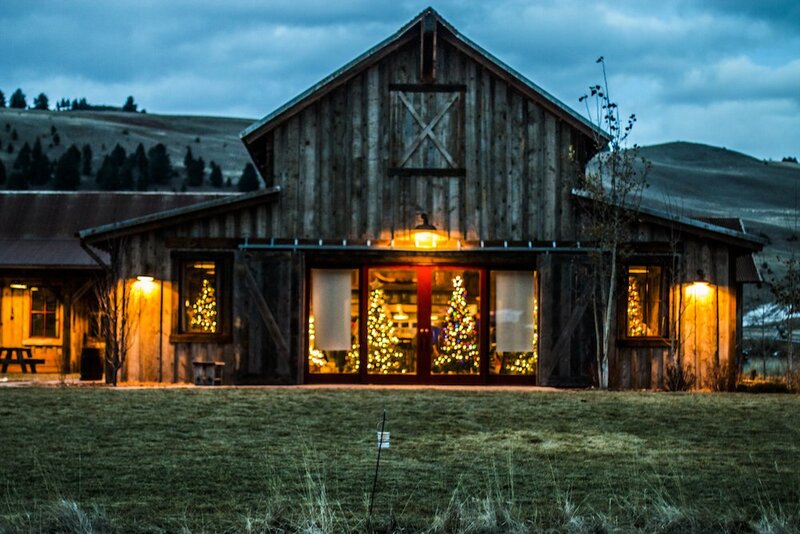 Wish us luck, as The Ranch at Rock Creek will be engaged in a little friendly competition for these honors when we offer our own tree up for auction. In addition to our event planning and execution, we’ve also decorated a tree for the last four years. This year’s Festival theme is “Joy to the World: Christmas Around the Globe.” As a travel destination, the theme offered a fun convergence with our global travel community. However, we soon centered upon the ways we could reflect our area’s heritage, just as we do with our yearly winter cultural events, like the Nordic Bonfire. A Scandinavian theme was a perfect fit. 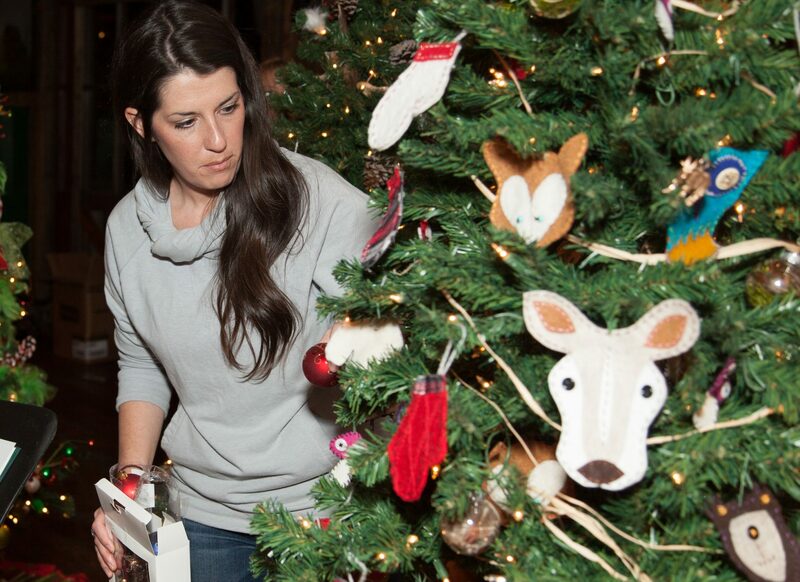 Groups & Events Lead Kate DeMello decorates our tree at the 2016 event. 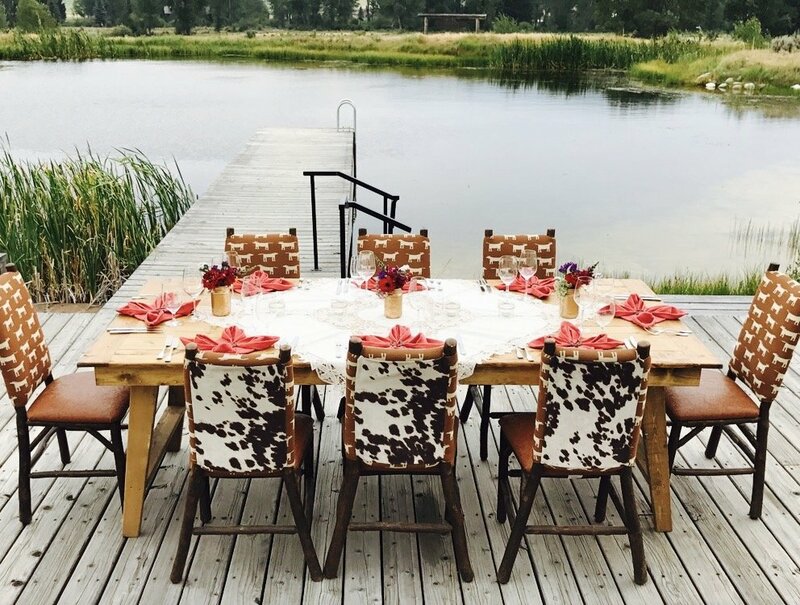 Our Ranch decorators also happen to be our groups and events team, Kate DeMello, Christina Wernikowski, Ashley Atkinson and Lauren Messmore—with invaluable help from many other members of The Ranch staff. The team has been busy handcrafting ornaments for weeks. 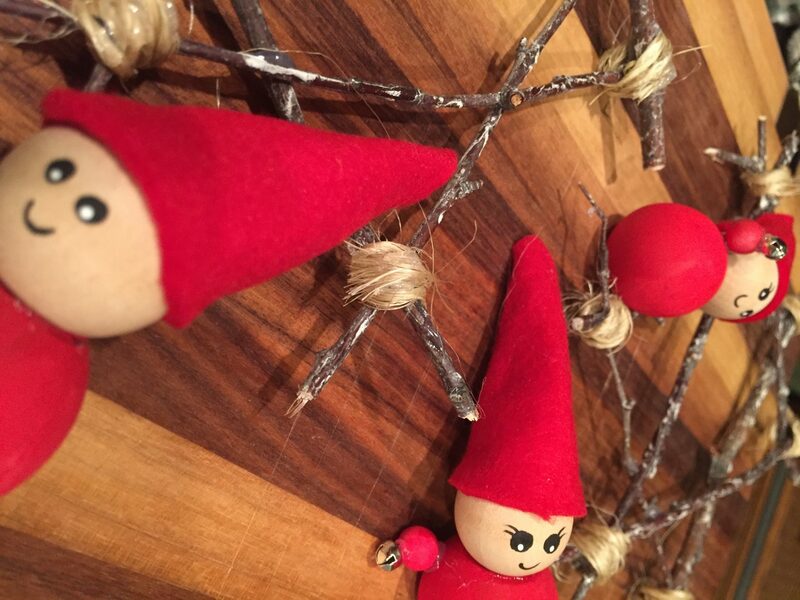 Groups & Events Team Member Ashley Atkinson crafts gnomes and twig stars for The Ranch’s Nordic-themed tree. 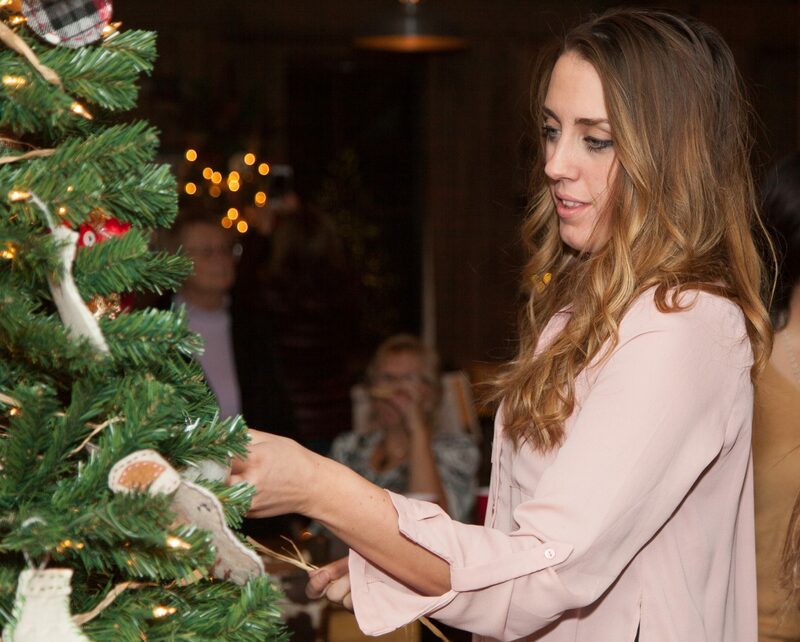 Ashley Atkinson decorates our “The Mitten” themed-tree during the 2016 Decorator’s Night. Stay tuned for pictures of our tree, as well as highlights from the event itself on Instagram and Facebook. If you are anxious to plan your own holiday party and welcome friends and neighbors to your door for a hearty wassail, our Bar Manager Ned has proffered his glögg recipe to our online community. We hope it helps make the season merry and bright. We look forward to raising a glass with our neighbors on Saturday! The greeting and practice of “wassail” and the reply “drinkhail” meant “drink to good health” in the old Norse, and later Old English, traditions. So, this seemed like the perfect drink to greet visitors to our Nordic-clad tree. 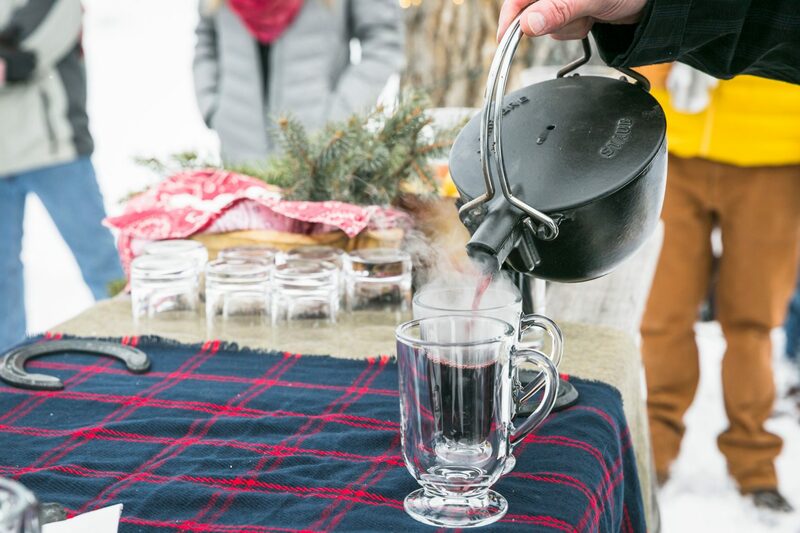 On Saturday, visitors to The Ranch’s tree will be able to get into the spirit of a Nordic Christmas by tasting our Bar Manager Ned Derosier’s glögg (Swedish spiced wine) recipe. 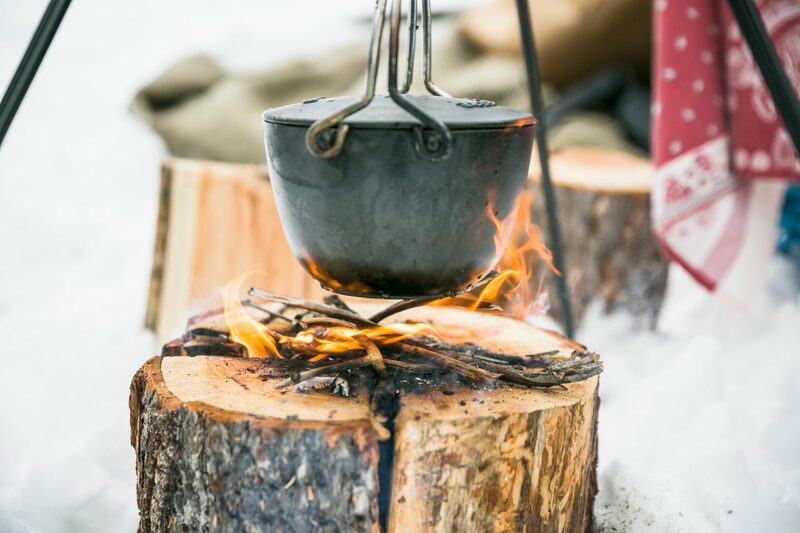 This winter warmer was a guest favorite at last winter’s Nordic Bonfire events, and now you can serve it up at your next holiday party. Add one cup of sugar, one cup of brandy and the orange peel to a saucepan. Simmer until you reach a syrup consistency. It is done when the syrup coats a spoon. Pour the syrup into a larger saucepan. Add the wine, remaining sugar, spices, fruit and half the port to the saucepan. Simmer for one hour, stirring occasionally. Pour the remaining brandy and port into the saucepan and remove from heat. Let the glögg cool overnight to let the flavors meld. Strain out the solids the next day. Garnish with a cinnamon stick or orange peel and serve. 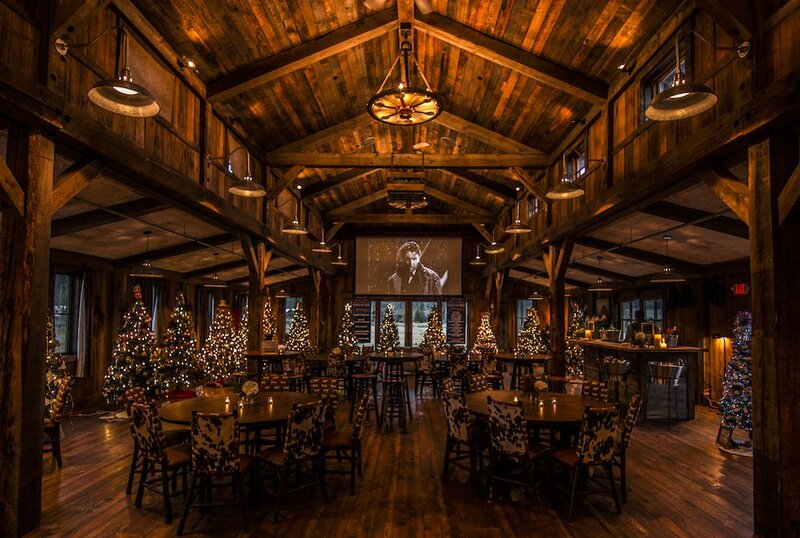 For details about The Ranch’s upcoming holiday celebrations, like Christmas and New Year’s, visit our seasonal celebrations page. 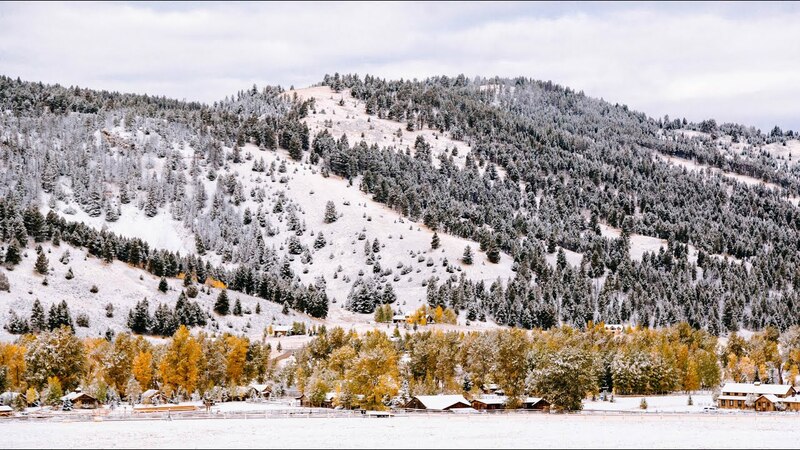 It won’t be long before Christmas tree hunting begins and we begin decking The Ranch’s halls and accommodations.